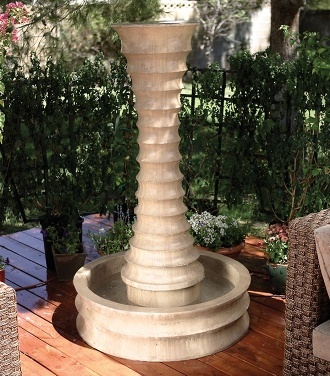 Provides a great design to compliment your backyard, the tall pedestal centerpiece stands perfectly in a deep round base. Water dances over the ribbed edges for a soothing and relaxing effect. Place this lovely piece among your favorite garden blooms or bring it closer to your seating area to create a private retreat. Made of glass fiber reinforced concrete, it resembles natural stone yet is lighter in weight and incredibly durable. Includes assembly instructions. 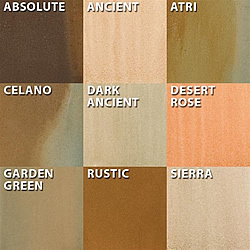 Shown in Ancient finish.